The Pittsburgh Penguins gave General Manager Jim Rutherford three more years under contract, and he immediately gave them a new player. 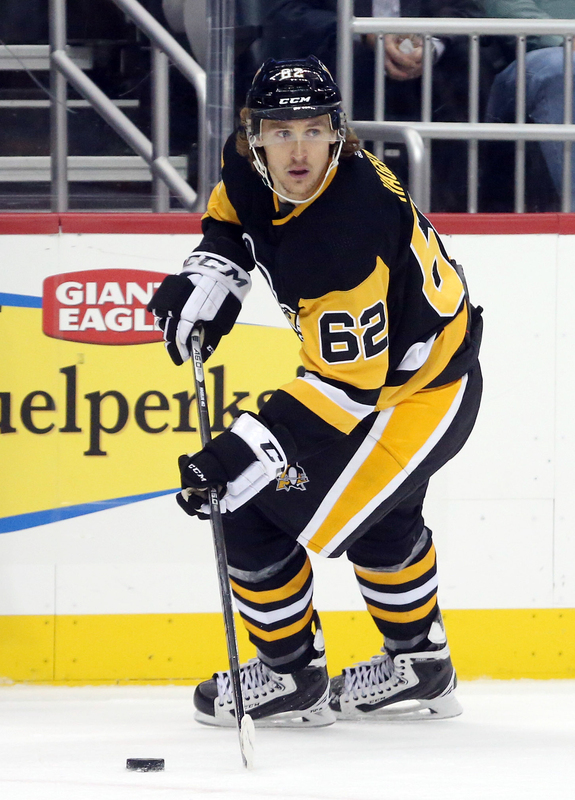 The team has traded Carl Hagelin to the Los Angeles Kings in exchange for forward Tanner Pearson. The Penguins have also retained 6.25% ($250K) on Hagelin’s contract, which makes the salary exchange a wash between the two sides for the remainder of this season. Pearson, 26, is off to the worst start of his professional career and hasn’t scored a single goal in 17 games this season. That lack of offense has contributed to the Kings’ struggles in the early going, as the forward had previously been relied on as a key secondary scoring option. That’s what Pittsburgh hopes it is getting, as Pearson did score 24 goals as recently as 2016-17 and may be able to find that touch while playing alongside talented centers like Sidney Crosby or Evgeni Malkin. There’s no indication where exactly he’ll fit into the lineup, but the Penguins have been trying just about every combination so far this season with little success to show for it. Selected in the first round of the 2012 draft, it wasn’t always obvious he was going to have a professional career at all. Pearson was twice passed over entirely in the draft, his first year of eligibility coming before he even joined the Barrie Colts of the OHL. That all changed in 2012 when he starred for the Colts and worked his way onto the Canadian World Junior team, taking home a bronze medal but showing he could compete alongside other top prospects. 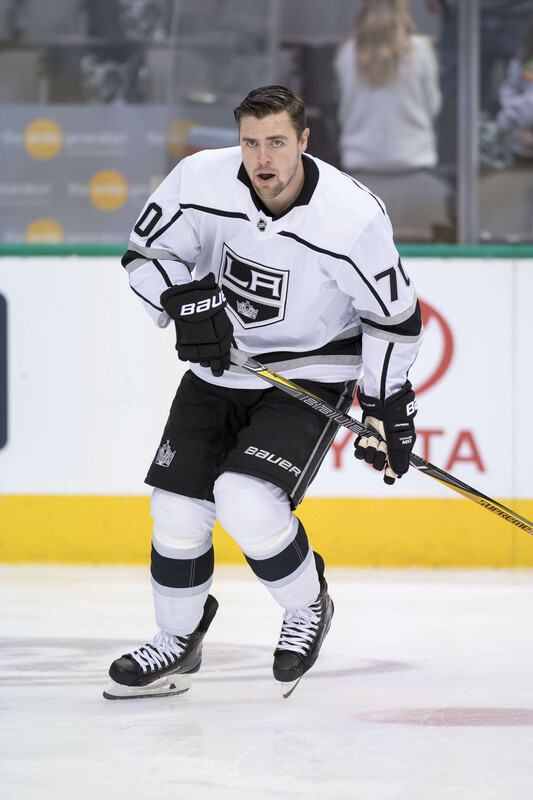 An outstanding rookie season in the AHL earned him an NHL debut in the playoffs for the Kings, and in the 2014 playoffs he would be a huge component to the Kings’ Stanley Cup championship. With two more years after this season on his current contract, Pearson isn’t just a rental for Pittsburgh this season. He’s an investment that could pay off or make the cap troubles for Rutherford and the Penguins front office even tougher. He carries a $3.75MM cap hit, and while it is offset for this season by dealing away Hagelin, the speedy Penguins winger is scheduled to become an unrestricted free agent at the end of the year and was coming off the books. That benefit is exactly what the Kings were after as they look to restructure their salary system, which will have to accommodate Drew Doughty’s huge $88MM extension next season. Salary freedom was the goal here for the Kings, but they do also get an experienced winger in return. Hagelin has 121 playoff games under his belt including lengthy runs with the New York Rangers and consecutive Stanley Cup championships with Pittsburgh. Though his scoring has dried up with just three points on the season, he does still bring an element of speed that was obviously missing from the Los Angeles forward group. An excellent penalty killer—though Pearson is also strong short-handed—Hagelin will likely be a desirable asset at the trade deadline if the Kings can’t turn things around over the next few months. The fact that his contract is just a little bit more palatable will only make him that much more interesting. The Penguins and Kings both likely aren’t finished tweaking their rosters, but this is a good start for both teams without taking on much risk. Even if Pearson finds his scoring touch and becomes a useful player, the Kings didn’t have the money or desire to pay out his deal as they try to retool their roster. The Penguins meanwhile are taking on a bit of risk with the contract term, but are in pure win-now mode with the trio of Crosby, Malkin and Phil Kessel all heading into the latter part of their careers and need help right away. Hagelin wasn’t cutting it as part of their secondary scoring group, so they’ll give it a shot with the younger and more dynamic Pearson. Darren Dreger of TSN was first to name Pearson as the acquisition. Carter and/or Kopitar were not exactly elite talents, but pretty close. Better than a lot of teams. A one-legged sloth could excel playing with Crosby or Malkin so let’s not deflect and ignore his struggles. Kopitar is definitely an elite talent. Is he on the same level as Crosby or Malkin? Probably not. But he’s an elite two way center that is relied upon to do basically everything for his team. I don’t like this deal if we are forking over a first round pick in the package. I like Pearson, but we need to keep these picks as a reboot for the system and not to be used for pieces that don’t bring us a title. No other assets moving per the reports 1 for 1 deal. I know. But I had a feeling JR would throw pick to LA because he throws them away like people on flats at a Mardi Gras parade. This is a really dumb deal for LA. What the heck are they thinking? It wasnt about the player. Got an expiring contract. Pearson had 0 value unfortunately. Is Pearson really this bad? They could still trade him to Toronto if they really wanted to. The extension doesn’t change that. He managed to put up 40 points last year with all those below average players. Someone correct me if I’m wrong, but wasn’t Pearson (and Toffoli) identified as “part of the problem” in L.A. when all of the closed-door players-only meetings happened? All sorts of rumors were flying about “free riders” and guys being “soft” and not playing hard, and generally not living up to the locker room ideal of how a pro should act? Kings have played soft since 2013 their last SC run. Seems like that SC run really killed their hunger to compete. Lombardi’s approach was relevant then, but not now and Blake et al. are saddled with cleaning up the mess. League changed the rules to support an uptempo pace of play. Kings were passed by the new space and pace league with all there slow heavy hitting defensemen. Now blake and luke are setting the table for changes next year. The run for Jack Hughes is now on. Would not be shocked to see Toffoli, Quick, Muzzin and even Doughty being dealt for picks or speed. Quick isnt gonna be delt, along with kopitar or doughty. Expect lesser guys like carter, toffoli, martinez, muzzin to gain interest. Picks and young talents coming back for them and rebuild around hughes and vilardi and kempe. Kings are tanking for hughes. Then get coach q and rebuild on the fly. I would expect for more pieces to be delt before deadline. It was time to make a move and trading Pearson was one of the obvious moves to make. I don’t know if the kid is hurt or has personal issues but he has been non-existent this year. 1 assist in 17 games is putrid. I wish him well but I don’t anticipate an offensive explosion from him even if he is top six in Pittsburgh.